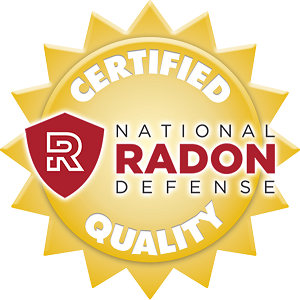 Green Star Services is your local source for radon mitigation and other indoor air quality services in the Greater Colorado Springs area. We have the skills and experience to help local customers and residents deal with the risk of radon with effective solutions and friendly service. Our expertise and quality products, like air purifiers and dehumidifiers, will help increase your indoor air quality significantly. These services will also help minimize any dust, or other contaminants, affording you safe, healthy conditioned spaces throughout the home. Jeremy and I wanted to write you a testimonial to post after the very professional, kind, and wonderful way you took care of our home. You did an awesome job and were really pleasant to work with. Thank you for cleaning our vents so well after the Black Forest Fires. You have not only made our home livable again but a refreshing, clean place to come home to! THANK YOU! My daughter, who has asthma, came home after being gone a week and no coughing with our furnace on! Cleaning our air ducts made a definite difference!! I will refer your company to everyone! Interested in any of our services? Call or contact us today to get a Free Estimate, or schedule a radon inspection and get the ball rolling! Radon defense is a very important part of protecting your home and your family. Radon is a naturally occurring radioactive gas that tends to accumulate inside of enclosed spaces, and more specifically, inside of homes and other buildings. Radon gas typically enters the home through the soil, especially through a crawl space with a dirt floor. Even homes with a solid foundation can suffer from high radon levels, so mitigating this radon buildup is crucial. Contact us today to schedule an inspection and to find out the most effective solution for lowering your home's radon levels. At Green Star Services, we pride ourselves on providing unparalleled customer service. We are have an A rating through the Better Business Bureau, and this reflects our commitment to client satisfaction. Our work is also transparent, so you can see exactly what each individual service costs and find out what work will benefit you the most. It is our goal to aid the customer in getting the most value for their investment. Green Star Services offers all of its services throughout the Greater Colorado Springs area, including Colorado Springs, Pueblo, Castle Rock, Fountain, Monument, Elbert, Woodland Park, Franktown, Peyton, Larkspur, and the neighboring towns and cities.